“A criminal case had been launched against Hugo Gurdon, an editor of the Washington Examiner weekly online magazine. According to the investigation, … Gurdon has agreed on the text of the article by Tom Rogan, which called for the destruction of the Crimean Bridge that links Russia’s Kerch and Taman peninsulas, and released it on the Washington Examiner website,” Svetlana Petrenko said. 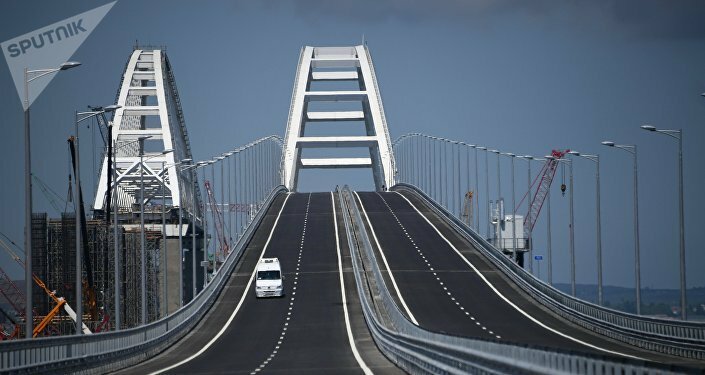 Earlier this week, the Washington Examiner newspaper released US journalist Tom Rogan's opinion piece suggesting that Ukraine had the capability to “destroy elements” of the Crimean Bridge to at least temporarily disrupt the traffic on it. The journalist also insisted that the US should support Ukraine in this matter, promptly providing a link to another article of his titled "Don't Worry, the US Would Win a Nuclear War With Russia." Russia's Investigative Committee launched a case against the journalist on Thursday.